Sardine Tin Clips. Set of 30 clips shaped like sardines packed in a sardine can, of course! 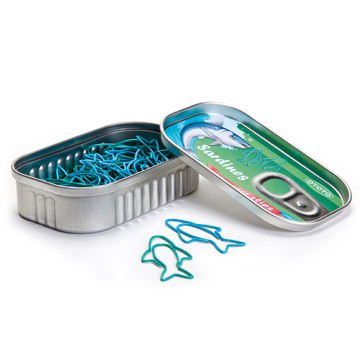 The clips for your papers as sardines, and of course, packed in "sardine cans" reusable.